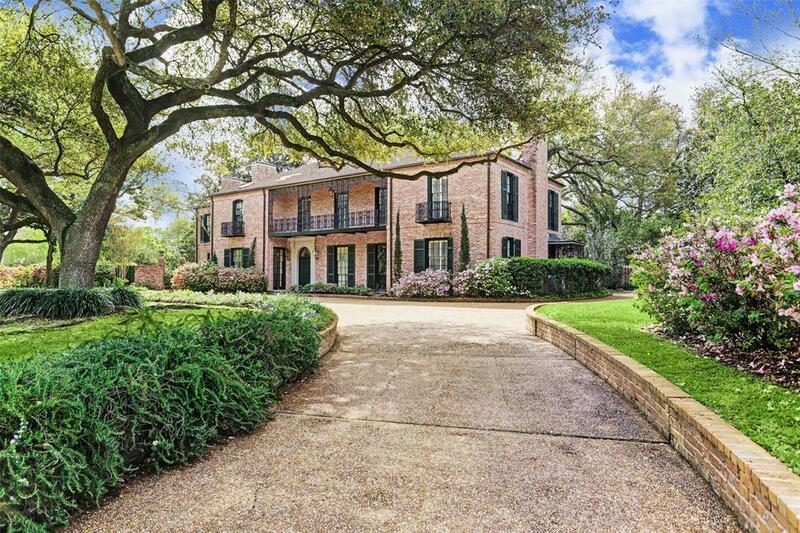 This classic luxury estate is the epitome of sophistication. 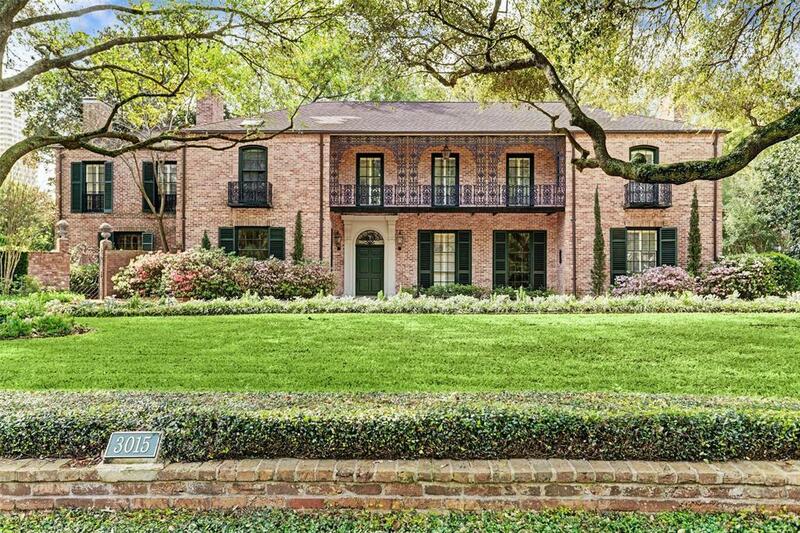 It was designed by John Staub, a distinguished residential architect. 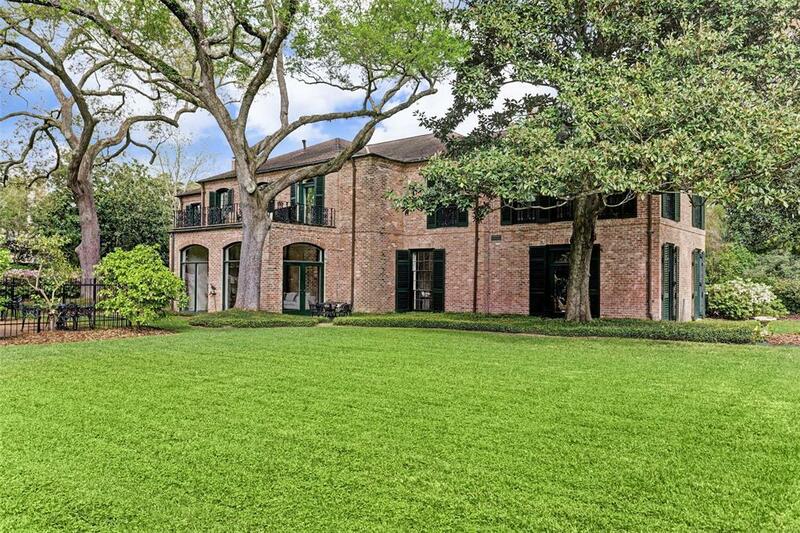 This property is situated on over an acre of organic, well-manicured gardens in Houstons most desirable neighborhood, River Oaks. This residence exemplifies the simple elegance that is reflective of the collaboration with Ima Hogg inspired by Bayou Bend. 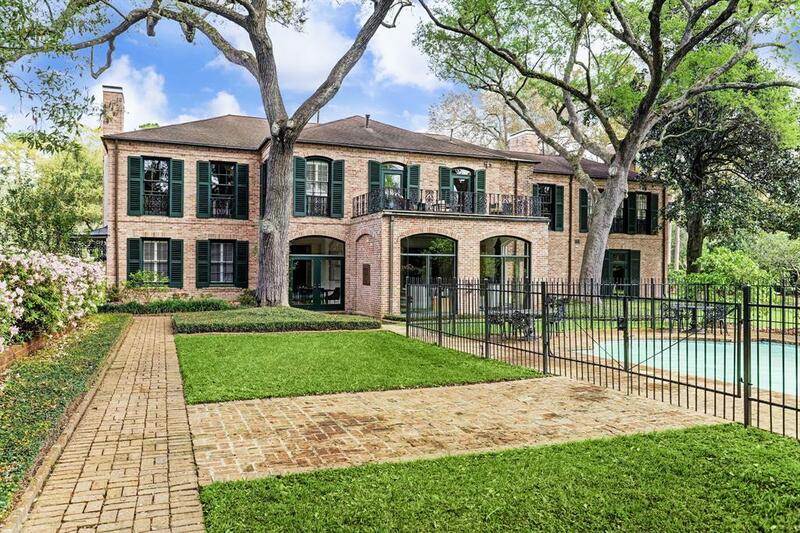 As you enter the New Orleans style home you are met with original black and white marble flooring, ironwork, millwork and high ceilings. The home showcases four marbled fireplaces, Jacobean walnut paneled library, octagonal dining room with iconic arched doorways that access the breakfast room and butlers pantry. The Master Bedroom features a Correa marble fireplace, closet with a dressing room and an elevator. The exterior features a large swimming pool with a stunning pool house, sauna and surrounding lush gardens. Full garage quarters with hardwoods are located over the garage and porte-cochere. Fee Other Amount $400 Transfer Fee/$500 Resale Cert.